Gary Parrish and Matt Norlander address, for the first and likely only time this season, some of the absurd early talking points already bubbling up around Duke. They open with the reaction to the reaction of Duke’s debut, then get into some unexpected trivia about starting lineups on past Final Four teams. From there, they touch on the Justice Department giving the go-ahead to the NCAA to start investigating some schools brought up during the first federal trial, which ended in October. After a weekend with a few notable upsets, Gary Parrish and Matt Norlander open with West Virginia being the only ranked team to drop a game to an unranked team. 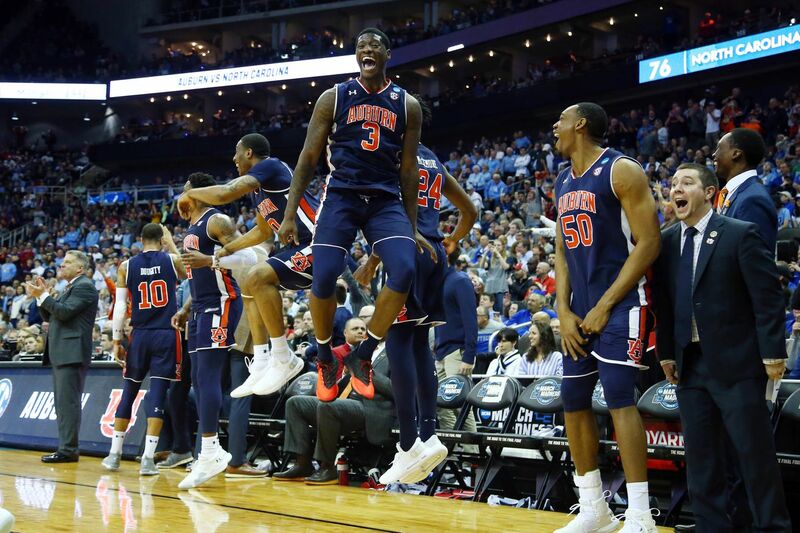 Then it’s onto Auburn (8:20), which looked great Friday night in an 88-66 win over Washington. Oh, and Duke freshman Zion Williamson (13:01) got 27 points, 16 rebounds, six blocks and four assists in Sunday’s 94-72 win over Army. Just an absolute monster. Who should be ranked No. 1 right now — Duke or Kansas? (20:00), and what about North Carolina (23:12)? 2-0 with two road wins — one at Wofford, the other at Elon. Norlander said that amounts to the best resume in the nation right now. The pod wraps with a lookahead to the best games of Tuesday and Wednesday (31:48). Georgetown went in and got a road win at Illinois on Tuesday night, doing so behind the entertaining play of freshmen duo James Akinjo and Mac McClung (:50). It’s been a long time since the pod talked about the Hoyas. Parrish and Norlander also get into the Big Ten’s quality start (16:30) before transitioning to Thursday night’s key game between Syracuse and UConn (21:48). Also at MSG on Thursday night: Oregon and freshman center Bol Bol (27:00). 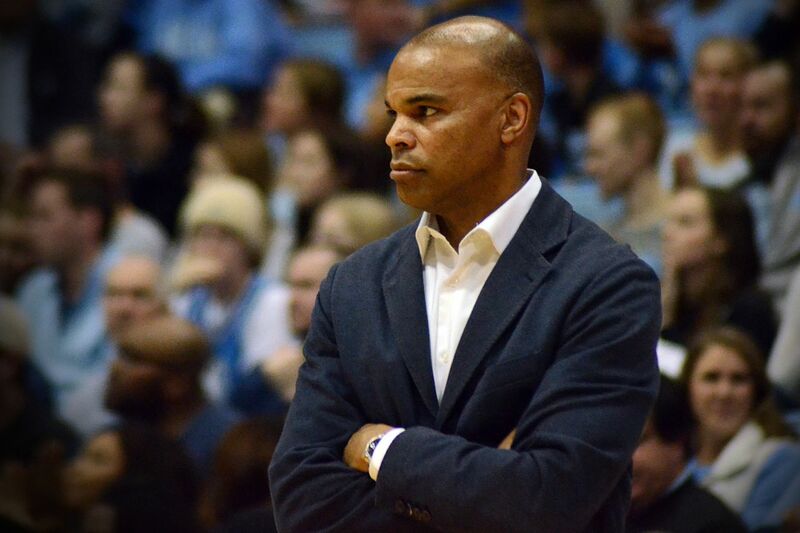 The pod wraps with some thoughts about Duke’s nonconference schedule and its contrast with UNC being willing to play opponents on the road in November and December (34:32). Friday’s episode leads on arguably the most shocking result of the season so far: Michigan’s 73-46 win at Villanova on Wednesday night. 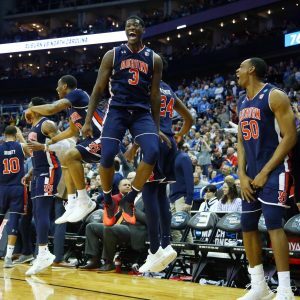 From there, Parrish and Norlander touch how good Tennessee’s looked to star the year (16:30), get into Zion Williamson’s hilariously ridiculous statistical pace so far (17:45), and move on to Ohio State (24:40), which has the best two road wins of any team in college hoops at this point. The guys also highlight the Big Ten (31:15), which has the best record of any conference 10 days into the season. Of course, there’s also the matter of UConn upsetting Syracuse (38:06), which included a viral moment from Dan Hurley and an inexplicable jersey mishap regarding Buddy Boeheim. The guys wrap by discussing a 3-point oddity that happened on back-to-back nights earlier this week. At the top, Norlander and Parrish open on Hawaii. Then it’s on to Villanova (12:42), which lost again on Saturday — to Furman. Also 2-2: Syracuse (20:49). The Orange lost to UConn and Oregon at Madison Square Garden. Which team is more disappointing at this stage? Speaking of disappointing losses, Indiana let one get away at Arkansas on Sunday (26:07). How about the 3-ball this season (31:18): teams continue to bomb away more than ever before. The episode closes with a wide-ranging preview and set of predictions on the Maui Invitational (36:05). James Wiseman (23:30), the No. 1 prospect in the Class of 2019, is going to Memphis. How big is that for Penny Hardaway? How bad is that for John Calipari? And did you know that Friday will bring another top-five matchup? No. 2 Kansas vs. No. 5 Tennessee (38:07) is on tap. Predictions included. 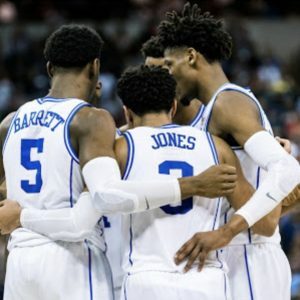 Don’t worry, we’ve got some Final Four chatter for you on this pod, but the episode starts with the biggest college hoops news of the past 24 hours: Kentucky and John Calipari have agreed to a lifetime deal for the coach, meaning he’ll be there for essentially as long as he wants as coach — and then will be an advisor/emeritus whenever he decides to retire. This is all in the wake of UCLA pursuing/botching its courting of Cal to Westwood. Gary Parrish and Matt Norlander open with thoughts on that, thoughts on what UCLA was doing — or not — and recap Cal’s first decade with UK. From there, they talk Tom Izzo and Michigan State (23:00) and whether a second title is needed to validate his Hall of Fame career. 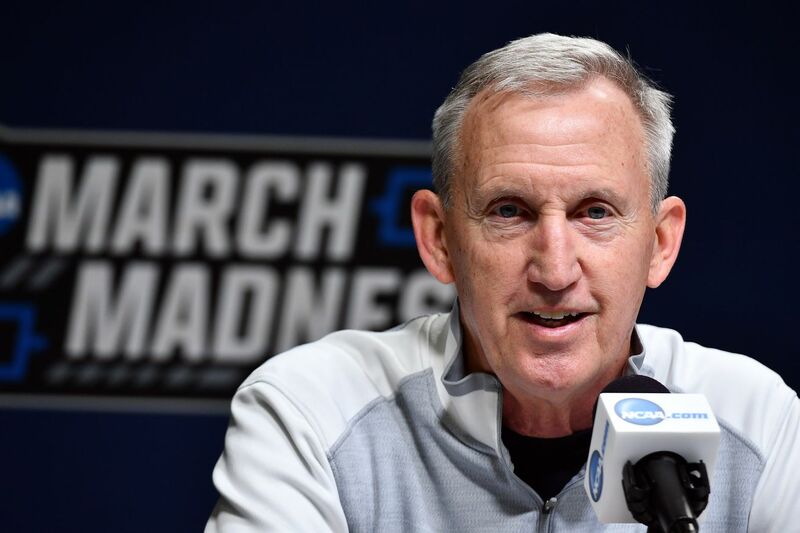 The guys then run the gamut on Final Four storylines (30:00), including which is the best, and close with Norlander giving honor to the great Rick Byrd (36:00), who retired this week after winning more than 800 games. 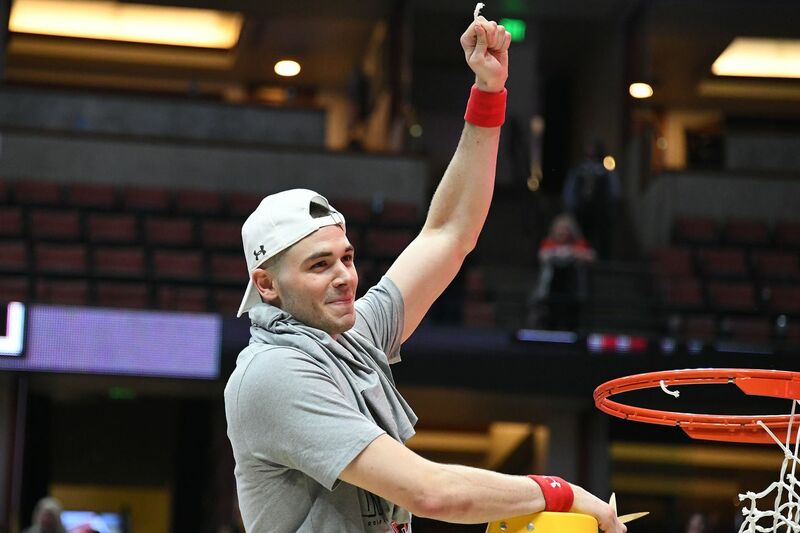 For two years, Matt Mooney was one of the best mid-major players in the country. As the focal point of a resurgent South Dakota program, he propelled the Coyotes to heights they hadn’t seen previously at the Division I level, including a regular season title and the doorstep of an NCAA Tournament bid. But for two years, Mooney was overshadowed by one of the greatest scorers in NCAA history. Sharing a conference and a state with South Dakota State’s Mike Daum, Mooney was squeezed out of the Summit League’s individual hardware and, likely more important to him, the NCAA Tournament. In both of his years in Vermillion, Mooney had his shot at the Big Dance extinguished by Daum and the Jackrabbits. 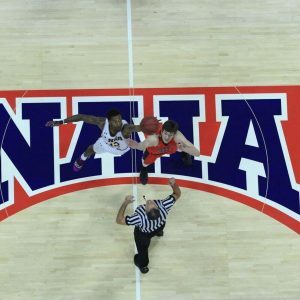 The first time in heart-stopping fashion in the 2017 Summit semifinals, and the second as he scored 30 points in a 97-87 loss to SDSU in the 2018 Summit final. One year later, the spotlight couldn’t burn any brighter on Mooney. The former Summit League rivals took divergent paths after the end of last season. Mooney, who started his career at Air Force, began exploring transfer options after his head coach, Craig Smith, left for the same position at Utah State. He had no shortage of teams blowing up his phone looking to add the proven scorer, three-point shooter and wing defender. After whittling his list to Texas Tech, Creighton and Northwestern, it was Chris Beard that won him over. 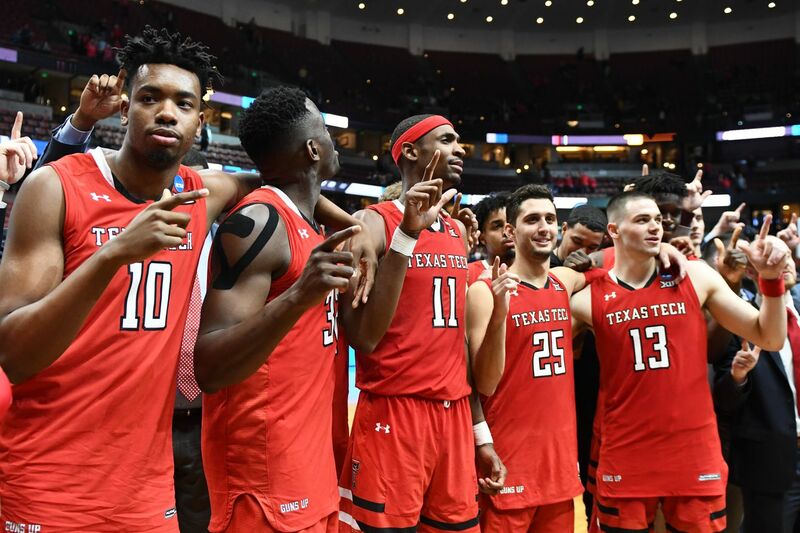 Something special was indeed in the works, as the Red Raiders now prepare for their first Final Four in program history. Mooney has yet again been at the center of it, starting each game this year and finishing third on the team in scoring (11.0 PPG) and second in assists (3.3 APG). He’s also been the vital cog in a Red Raiders defense that crippled the opposition en route to Minneapolis. 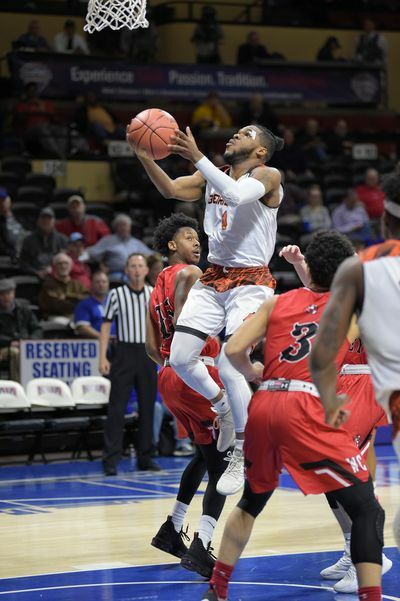 In his Hoop Vision NCAA Tournament Bible, Jordan Sperber (@hoopvision68) wrote about the role Mooney plays in the country’s most efficient defense. 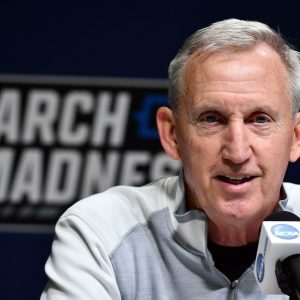 The senior racked up five steals in Texas Tech’s first round win over Northern Kentucky, and three more as the Red Raiders locked down Gonzaga in the Elite Eight. Overall, he played the starring role (17 points, 6-12 FG, 5 assists) in last Saturday’s historic win over the WCC heavyweight. It was the type of March run and moment that Daum never got to experience. The idea of Daum — the scoring, floor-spacing, rebounding machine built for the modern game — entering the graduate transfer market was floated nationally as early as December 2017. 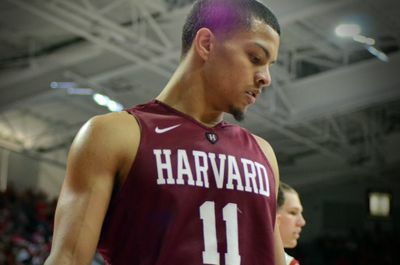 Plenty of programs would’ve moved mountains to land him, but after exploring the NBA draft following the end of last season, Daum foreclosed wearing another college jersey. Alongside star sophomore guard David Jenkins Jr., returning made plenty of sense. The Jackrabbits figured to be the class of the Summit League, and were just that by winning a second consecutive regular season title. 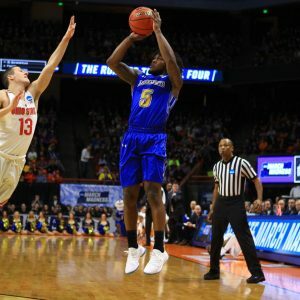 A fourth trip to the NCAA Tournament and fairy tale ending for Daum, however, were not in the cards as SDSU was stunned by last-seeded Western Illinois in their league tournament opener. That leads to Minneapolis, where Mooney will suit up in front of millions of eyeballs, and Daum will not. But tempting and convenient a narrative as it may be, that doesn’t make Mooney right and Daum wrong. Both players looked at the graduate transfer route and made the decision that made the most individual sense. At South Dakota, Mooney saw his head coach leaving and opted to survey the market himself, ultimately finding a power conference program that promised an opportunity for playing time. The magical March run wasn’t a guarantee. 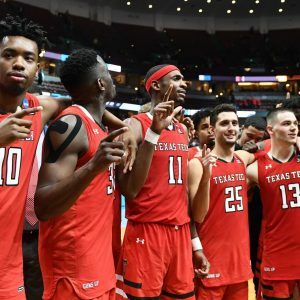 Even discounting the roll-the-dice nature of a single elimination tournament, the Red Raiders were losing a lot off an Elite Eight team; their ability to shrug that off and continue to contend has been well-chronicled. At SDSU, Daum saw coaching continuity as the Jackrabbits fended off, for one offseason at least, outside interest in coach T.J. Otzelberger. He also saw a team capable of continuing to lord over the Summit League, with players like Jenkins, Skyler Flatten and others returning. And, most importantly, in his own words he spoke publicly about the value of not making the jump to another school, even if it may have meant a more navigable path to the March spotlight. That didn’t mean he was wrong, nor does it mean Mooney was wrong for not finishing his career at South Dakota. Two great players, tied together for two years by state and conference, finished their careers on their own terms. That can only be right. Could we revisit the question of that format if three-point attempt rates keep charting a steep increase? What happens when, after the line (one presumes) is moved back but then attempt rates eventually resume their upward climb toward the 50 percent inflection point, we have a tournament wherein the defense has relatively little control over the success or failure of better than half of opponents’ tries? Hold that thought until 2029 or so; meantime, don’t fret. 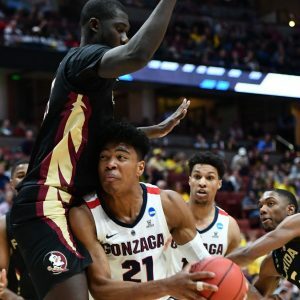 Even back in the old days, circa 2015, when there were way fewer three-point attempts in the tournament, we still had Final Fours made up mostly or even entirely of teams kissed by the hoops gods when it came to win-or-go-home perimeter D.
Parrish and Norlander were all over the country this week, covering top-five matchups in person and reporting on them for CBS Sports. This special Saturday episode leads with Kansas beating Tennessee late Friday night at Barclays Center. From there, the guys get to Virginia’s 6-0 start (10:03) and what happened in Vegas with Michigan State, Texas, UNC and UCLA (13:06). On the other side of things, Florida’s off to a ragged 3-3 start (16:16). Arizona State (20:28) is doing well for itself again after last year’s good start. Bad news: Vanderbilt’s Darius Garland has a torn meniscus (23:00). A look ahead to Sunday’s big game between Villanova and Florida State (29:40). Villanova got its first quality win of the season by beating Florida State 66-60 on Sunday in the title game of the AdvoCare Invitational. Gary Parrish and Matt Norlander start this episode by discussing a lingering curiosity with Villanova, then get to Oklahoma State (10:02), which is off to a nice, under-the-radar start. From there, predictions and thoughts on the ACC-Big Ten Challenge (17:29), Duke thoughts (22:42) and a discussion on the best mid-major game of the week, Nevada vs. Loyola Chicago (30:14). and I opened this episode of the Eye On College Basketball by discussing the reigning national champs and Quinerly’s disappointing start. The NCAA coaching carousel doesn’t wait for the postseason to end before hitting full gear. No one knows this better than current TCU assistant coach Scott Cross, who was also named head coach at Troy last week. Though the new leader of the Trojans has promised to stay on in Fort Worth until the Horned Frogs’ season ends, he’s already begun work trying to rebuild the Troy program. Mid-Major Madness caught up with Cross, best known for his work as UT Arlington head coach from 2006-18, ahead of TCU’s NIT semifinal game against Texas in New York. 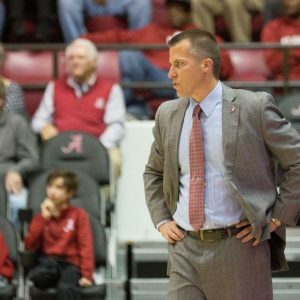 Mid-Major Madness: How did this opportunity come about for you at Troy? Scott Cross: My agent gave me a call and asked if I had an interest whenever they parted ways with Coach Cunningham. I’ve been through there a couple different times when we played at my previous stop. I always thought it was a place that was a sleeping giant, like I said in my press conference. They have a beautiful facility, the town is really, really pretty, they’re super supportive of athletics. You just have a good feel, a good vibe when you’re there. I told them I was interested. I had wanted to ask you about the sleeping giant comment. What are the things that have to happen for Troy to realize its potential? First, we have to put a product on the floor that’s capable of winning. Once you can beat one of the big boys and kind of get the momentum going and get some excitement, I think that’s going to help drive attendance. If you can win more games, that’s going to drive attendance. And it’s kind of a snowball effect. That attendance helps you win games at home. That’s what we’re going to have to do. We’re going to have to create some excitement, get some people in the stands, get a buzz around campus and all of the sudden that becomes a great home court advantage, and if you win all your home games you have a great chance to win your league. We’re going to have to get out in the community, get around campus, and hopefully we can get the fraternities and sororities and students to the games. 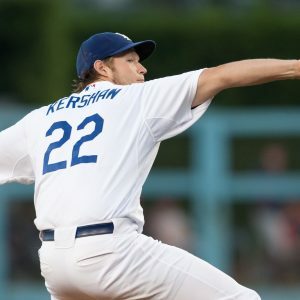 I think the community is so supportive already and you can see it with what football has done, and even baseball as well. You’re in an interesting situation right now balancing two jobs. How’s that working for you, trying to bring TCU through the postseason? Well, not much sleep for sure. I actually did get a halfway decent night’s sleep last night but before that I don’t think I slept more than a couple hours all week long. So it’s been super busy, making phone calls left and right. Of course you have a bunch of text messages and phone calls about potential hires and that’s very overwhelming. Then I have the Texas scout, so I’ve been busy preparing for that. And the most important priority is the current team, making sure the guys are good and want to stick around, then getting on the phone and calling potential recruits as well. It’s been nonstop for sure. Have you had a chance to meet with the team yet? How have they responded to you? They’ve been good. I did meet with them the day before the press conference for about 15 minutes, and they were good. I’ve been texting them, calling them since then to try and build a relationship and get to know them. And as soon as this is done, I’ll get up there and get to work with them. When you’re putting the team together, stepping in right at the beginning of the offseason, what are you priorities for the summer? We have to establish the culture that we want in the program. Getting our guys to understand that we’re going to be a “take the stairs” basketball team, no shortcuts, we’re going to do all the little things right. Being a selfless team, a tough team, a defensive team. So just trying to establish that mindset with them. We’ll be encouraging them to get in the gym on their own was much as possible. We’ll be working with them during practices on their skill level. But overall establishing the culture of the program is priority No. 1. You’ve had a year now under Jamie Dixon as an assistant. What have you learned from him? The other thing he’s great at is when adversity strikes, it doesn’t phase him. He keeps going. He’s just super positive. He’s an eternal optimist, always believing we’re going to win. We have the best guys and the right team to be successful so just seeing how he speaks stuff into existence. Is there anything that you’ve taken from this experience that maybe you didn’t have at Arlington? Probably just some of the little things he does as part of the skill building, as part of the offense and how he builds it out. I think I’ll definitely try to incorporate that into the plan was quickly as possible. You mentioned that you’re on the Texas scout for tomorrow. What’s been your primary role as an assistant this season? Scouting has been number one. I was recruiting a ton of young guys. Trying to assist Ryan [Miller] and Corey [Santee] as much as possible with the current guys. Just laying the foundation for a lot of 2020 kids so if they want to take the ball and run with it, they can. There’s still a couple of 2019 guys that I was recruiting for the late period that they would have an opportunity if they wanted to go in that direction as well. Regardless of what happens this week, the season is over Thursday at the latest. What happens right after that? I’ll probably need to get to TCU and turn in my stuff, then I’ll pack up my stuff, drive down to Tory and I plan on probably meeting with the team Sunday evening and getting to work on Monday. Do you know if the members of the team now are all planning on staying, or is that a conversation you’ll have to have in the next week or so? 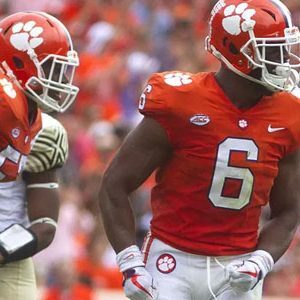 Well there’s two of them that are in the transfer portal [Javan Johnson and KJ Simon] but I’ve been talking to them and I think they’re definitely open to staying. I think they both plan on coming to workouts and it’ll just be a deal where we have to see if we are a good fit for each other, and if it is, great, and if not, there will be no hard feelings either. We’re just going to get to work and build relationships as we go. What do you envision the ceiling being for the Troy program? I don’t think there’s any ceiling. I think if you look at it long, long term, I don’t see any reason why you can’t win it all. We gotta start with getting better today and tomorrow, that’s gotta be the focus every single day, but you see it all around the country. You’ve got to have a great facility, you’ve got to have a great home court advantage and once you start doing those things and you start winning, you get better players, and it becomes a snowball. I don’t want to put any ceiling on this program, but the focus is on just getting better today. Here’s a Final Four almost no one had: Virginia, Michigan State, Auburn and Texas Tech. Gary Parrish and Matt Norlander open with their initial thoughts on the national semifinalists, then gush and give their reactions to arguably the best Elite Eight in history. 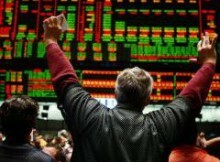 They start with where Norlander was at — Louisville — with Virginia’s comeback/OT win over Purdue (10:00), then move on to Auburn beating Kentucky (28:00), Texas Tech beating Gonzaga (37:15) and Michigan State beating Duke (45:00) and ending the college careers of Zion Williamson, RJ Barrett, Cam Reddish and, almost certainly, Tre Jones. No one likes those days between the first and second weekends of the NCAA Tournament. They’re even longer and drearier when Cinderella seems to have been snubbed from the Sweet 16 entirely. 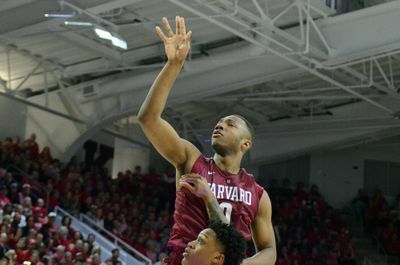 Do you see which team can make the next deep MM run among among mid-majors right now? We often get some variation of this question, but if you’re looking for the NEXT school to make a deep run, start by looking at who the contenders will be in 2019-20. 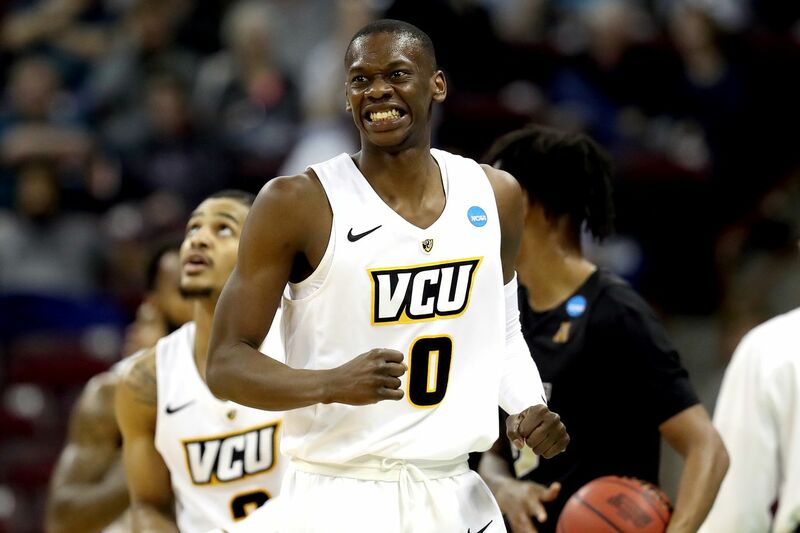 Assuming there are no surprise departures, VCU is the team that looks poised to make a great run next March. 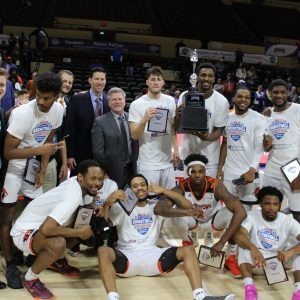 The Rams were one of the best mid-majors in the country and won the Atlantic 10 regular season this year.. .and they return virtually everyone next year. 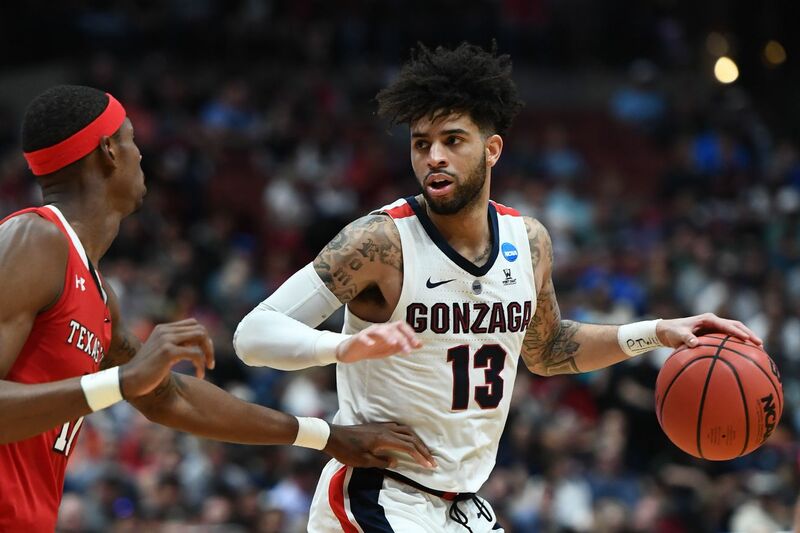 Marcus Evans, Issac Vann, and De’Riante Jenkins will all be seniors, and Marcus Santos-Silva made a massive leap from his freshman to sophomore seasons. Aside from them, a few more candidates to watch are New Mexico State, Liberty and Dayton. 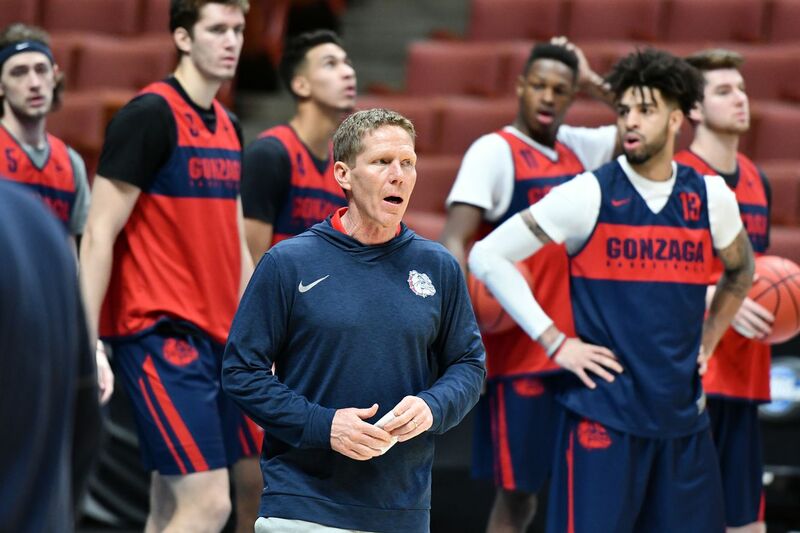 What does a mid-major need to do to have success similar to Gonzaga? This is along the same lines as the question above, and lucky for you, we’ve written an entire article about this exact topic. As you’d expect, this is really tough to do, even if you have the right ingredients. You definitely need a certain amount of luck, but it starts with two things: an athletic department willing to invest in the program and a coach willing and able to maintain success rather than jump at the first high-major offer. This should have happened a few years ago when, um, a certain Big East job opened and it instead chose to hire a prominent alum with no head coaching experience who has gone on to underachieve, even with perhaps the best roster in the conference. Anyway, Cluess is 60 now and has done pretty darn well for himself at Iona. Of course everyone has a price, but it’s not like he’s eager to get out of New Rochelle. Should Valpo hire Bryce Drew back? Have fans turned on Lottich that quickly? Give the guy a chance! 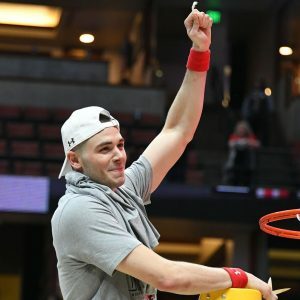 He won 24 games in his first season, then was dealt an impossible hand by having to coach a team that was upgrading conferences while losing its best player from the previous year (Alec Peters). They had a young team this season that will be even better the next. Focus on that, not on bringing in a guy who just went winless in the SEC. I think a step back is inevitable considering Saint Louis is losing two guys like Tramaine Isabell and Javon Bess. Throw in an Atlantic 10 that should be better as a whole, and the Billikens might fade even more. But Travis Ford has a good recruiting class coming in to go alongside a couple solid returners. I think long-term the program is in a much better spot than will be reflected on the court in 2019-20. Does Jans stay at NMSU? For the time being, I think so. The university is committed to keeping him, as demonstrated through some private fundraising to get him a few more bucks, and the team is set up to be really good for a while. Here’s the scary part: There are a ton of job openings west of the Mississippi and most of them can still offer more money. He’s succeeded everywhere he’s been and is going to be a candidate for some big-time jobs moving forward. 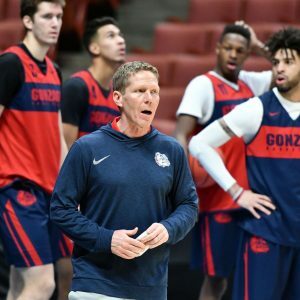 Is Gonzaga really a mid-major anymore? Do you see Rick Byrd coaching at Belmont after this season, or does he ride off into the sunset? He can’t leave! Not with so much more Rick Byrd fan fiction for Cam to write! Chris Mack got his first signature win as Louisville’s coach Tuesday night when the Cardinals upset Michigan State in overtime. Gary Parrish and Matt Norlander open on that, then get to a lot going on with Duke and its win over Indiana (13:04), including Coach K’s jacket-throwing technique and why Duke team managers run like Usain Bolt at the end of each half. Elsewhere, Nevada had no issues with Loyola-Chicago (26:09). Unfortunately, Vanderbilt’s NCAA tourney chances could be doomed with Darius Garland likely out fot the year (33:33). 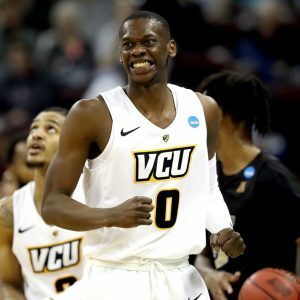 The pod wraps with a lively discussion about the NCAA’s NET rankings making their debut this week (41:05). GP and Norlander closed on whether college basketball fans should really be concerned about the algorithm and what the NCAA should’ve done differently to avoid yet another public relations nightmare. Michigan is 7-0 with blowout wins over the past two national champions. And the Wolverines are, once again, excellent defensively thanks to John Beilein’s hiring of Luke Yaklich. Matt Norlander and Gary Parrish open this episode by discussing what appears to be the Big Ten’s best team. 7:03: Roy Williams said North Carolina stinks. Is he right? 11:52: The Bob Knight 30 For 30 — “The Last Days of Knight” — made its television debut on Thursday. The guys spent a few minutes discussing the controversial coaching icon. There’s also a bacon story from Parrish. 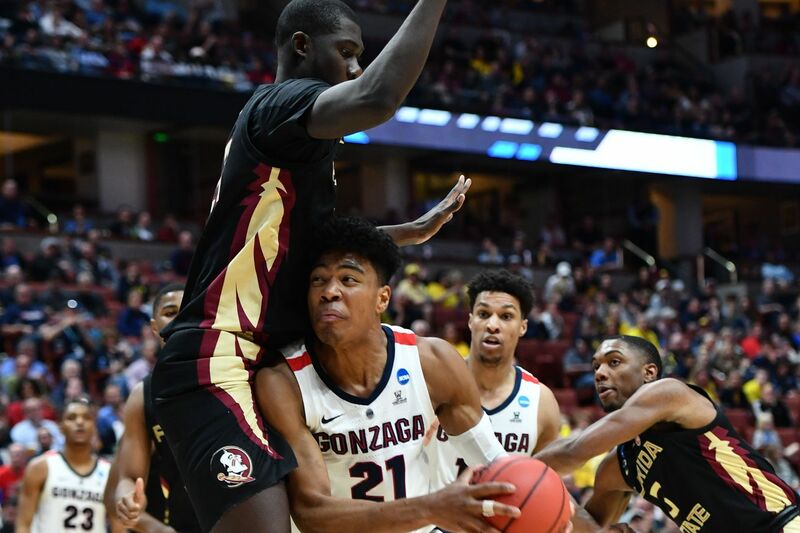 24:50: Weekend preview, including Gonzaga-Creighton, Nevada-USC, Arizona-UConn and Oregon-Houston. There were no major upsets this weekend. But a handful of good teams — No. 1 Gonzaga, No. 2 Kansas, No. 20 Texas Tech, etc., — were pushed by unranked opponents. The pod opens on that, then gets to Lagerald Vick and Kansas (3:09) and Nevada’s 8-0 start (12:43). On Sunday, Arizona got to 6-2 (20:17). Is Sean Miller going to get the Wildcats back to the NCAA Tournament even though most predicted he wouldn’t? As for UConn (24:45), Akok Akok committed, which is big. Then the fun begins. Norlander has Parrish play “Guess the Celebrity” (28:31) and the guys wrap with a wide-ranging conversation on the College Football Playoff and how it compares to the NCAA Tournament process (37:10). Matt Norlander was at Madison Square Garden on Tuesday night for a doubleheader featuring Oklahoma-Notre Dame and Florida-West Virginia. This episode opens on that, and specifically: Is Oklahoma better without Trae Young? Florida (6:17) beat West Virginia, but pro prospect Jalen Hudson is oddly a non-factor. It’s weird. In injury news, Kansas (10:30) big man Udoka Azubuike suffered a right ankle injury in Tuesday’s win over Wofford that’s expected to sideline him for a significant amount of time. The Miami Hurricanes (13:22) have lost four straight games for the first time under Jim Larranaga. 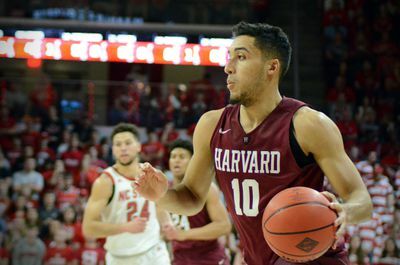 How did the Hurricanes go from 5-0 to 5-4 with losses to Seton Hall, Rutgers, Yale and Penn? The pod closes with a discussion about the Chicago Bulls firing Fred Hoiberg (19:13). 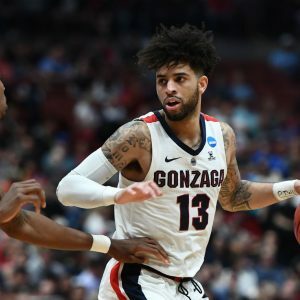 Is a return to college basketball inevitable? Everyone was on the way out the door in Brookings, South Dakota on Wednesday. T.J. Otzelberger departed to become UNLV’s next head coach, while his South Dakota State Jackrabbits were about to endure some heavy roster turnover — most notably the loss of the Summit League’s all-time leading scorer, Mike Daum. But one man is staying at southeast South Dakota. His name is Eric Henderson. Say hello the Jackrabbits’ new head coach. 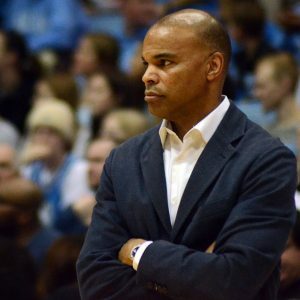 Serving as associate head coach during Otzelberger’s three-year run, Henderson was elevated to lead the Jackrabbits on the same day it was announced that Otzelberger was leaving for the desert. Prior to joining the South Dakota State staff, Henderson, a graduate at Wayne State (Neb. ), had never held an official title as a coach at a Division I school. 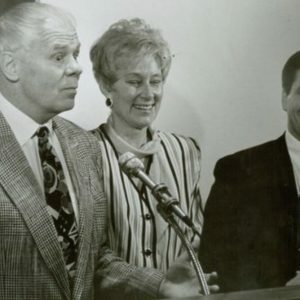 He had previously served as an assistant at Wayne State, and he coached high school basketball at Burlington Catholic Central in Burlington, Wisconsin. There was also a stop at Wayne Community School, and stints at Iowa State as a graduate manager and learning specialist. But his big break came when Otzelberger added him to the Jackrabbits’ staff. Now he’s the 22nd head coach in the program’s history, but only the third since Scott Nagy took over in 1995. 1. What is he getting himself into? A challenge, that’s for sure. A lot of familiar faces will depart, including Daum, Skyler Flatten, Tevin King and Brandon Key. 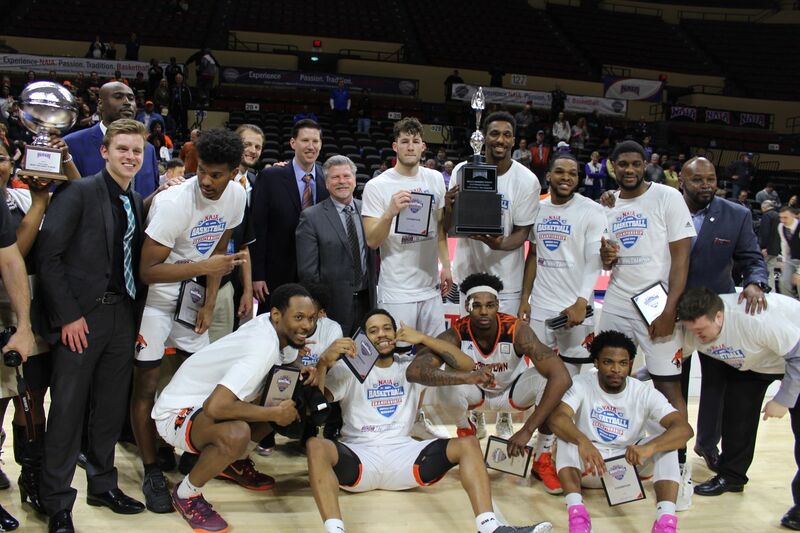 North Dakota State and South Dakota State have traded Summit League championships this decade, and North Dakota State left Sioux Falls with the league tournament crown this year. So perhaps the pendulum is swinging back toward the Bison, and perhaps that swing will hasten with Otzelberger’s departure. 2. What happens with David Jenkins Jr.? All the attention among Jackrabbit fans shifts to the team’s best player — a soon-to-be junior from Tacoma, Washington. There were whispers that Jenkins would follow Otzelberher wherever he landed, and a move out west would get Jenkins closer to home. 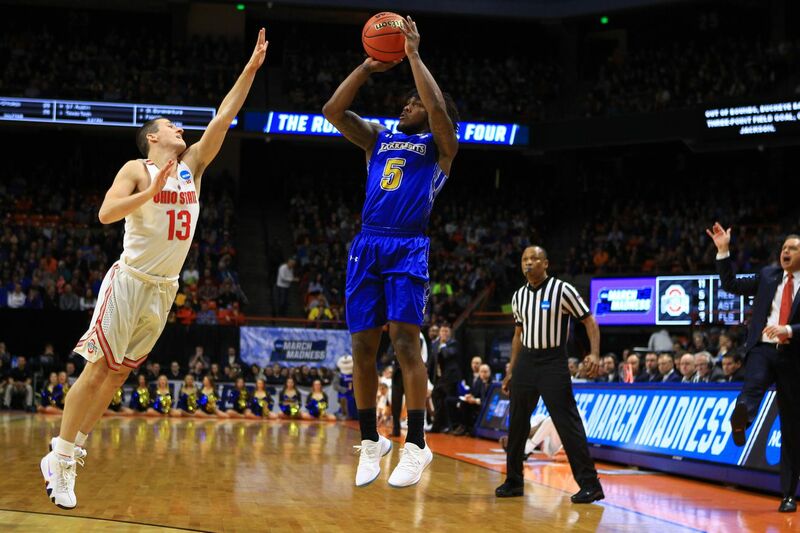 Having already surpassed the 1,000-point mark with relative ease, retaining the scoring guard would be an absolute must if the Jackrabbits hope to enjoy success next season. So now it’s up to Jenkins to make a decision one way or another. 3. Was it a knee-jerk reaction to hire Henderson so quickly? It seems like the Henderson hire was all about retaining someone who had a relationship with Jenkins. The hope would be to keep him for the next two seasons, and hopefully put enough talent around him to compete for a league championship. 4. What’s on the horizon for the Jackrabbits? 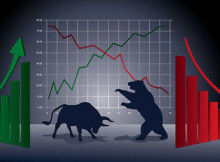 Perhaps some tough times; perhaps sustained success. It really could boil down to whatever Jenkins decides to do. There are eight other Summit League coaches hoping he leaves the league, that much is for sure. 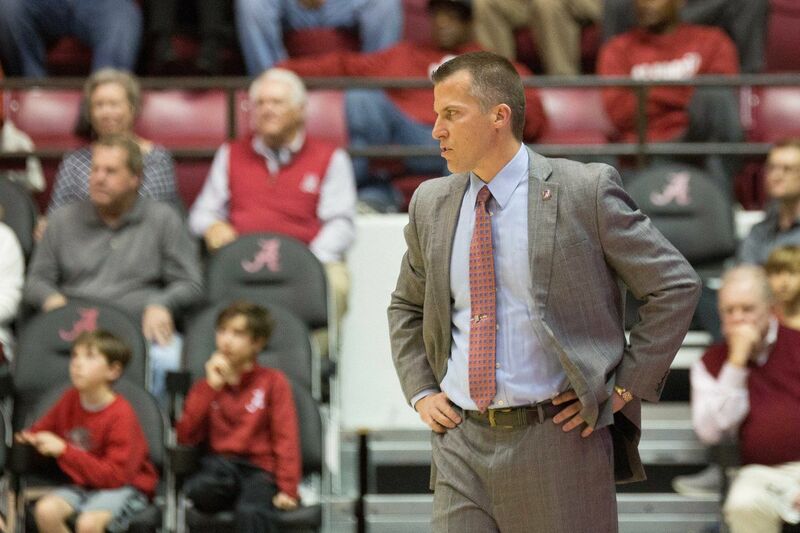 But even if he stays, he’ll have to immediately mesh with mostly soon-to-be sophomores, unless Henderson dips into the JUCO or grad-transfer ranks. To start, Parrish and Norlander open with Duke barely escaping — again — thanks to a bunny missed at the buzzer. Virginia Tech almost had it. But you know who’s to thank for Duke moving on? Tre Jones. From there, the guys preview Duke-Michigan State (8:45), then talk the West/Gonzaga vs. Texas Tech (13:20), the South/Virginia-Purdue (21:00) and the Midwest/Kentucky vs. Auburn (33:40).